A mommy posted on Charlotte Mommies today about how her child’s school asked all of the parents to write their children a love note to be read out loud to the kids at school in honor of Valentine’s Day. I automatically thought of all of the amazing handwritten letters I have from my mom and how much I miss her and cherish those words in my heart. I realized the purpose of this blog was to do that for Landyn and for myself, but I also realized how important it is for me to hand write letters to him so he has them when he gets older to cherish when I’m not around too. My favorite possession is my letters and photos from my mother so I can remember what an amazing person she was and how much she inspired me and has shaped the person and mother that I am today. When I was a little girl my cousin Katie and I used to play “mommy.” She always had a baby girl, and I always had a baby boy. I used to pretend change diapers, feed my baby with a bottle, and snuggle that baby to sleep. 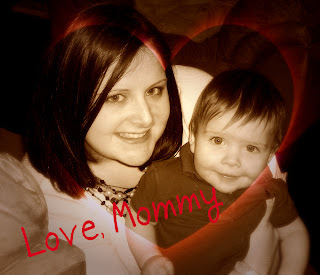 I had dreams of being a mommy even when I didn’t know how much love a mommy could feel. You have made my dreams come true. You have made me feel those feelings of love, hope, joy, and pride. You have given me the most amazing gift, and I look at you; my son, and I cry tears or amazement at what your daddy and I have made. I see what my mom saw when she looked at me, and seeing that makes everything feel alive. You make me feel alive Landyn Carter and for that I will be forever grateful to you. I look forward to every day with you, and I can’t express to you enough how much fondness and love I hold for you in my heart. Tomorrow may not be the same as today, and a year from now will be different too, but always know, I am always here for you and I will always support you and I hope you can look back on these words and cherish them like I do from my mom. I wish she were here with us today to see the life I have made for myself and to be able to give you the kisses and hugs she used to give to me, I can only hope I can give you the same sense of comfort she used to give to me. I love you and someday, you will be able to understand and feel that love too. Your first Valentines Day is like any other first in your life, and your daddy and I will cherish this first just like any other and the 2nds, 3rds, 4ths, 5ths and more to come. I love you monkey, and that will never, ever change.